30 g sour cream approx. 2 tbsp. 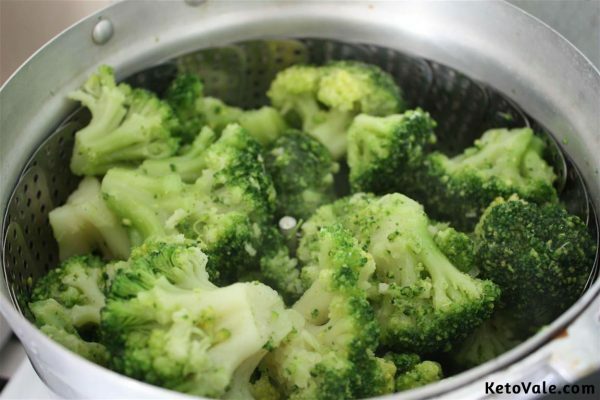 Let the broccoli steam for 5 minutes. 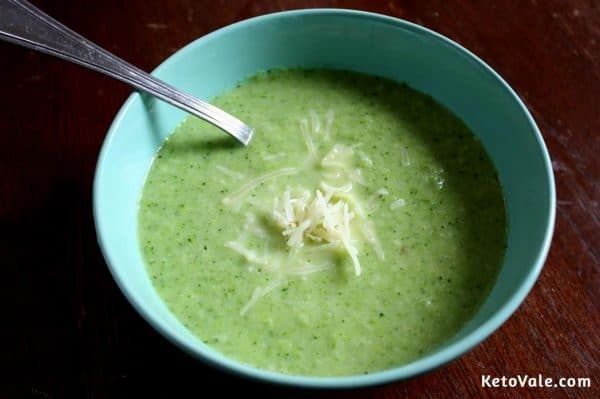 Transfer them to a blender and mix well for about 2 minutes with the parmesan, sour cream, and comte cheese. 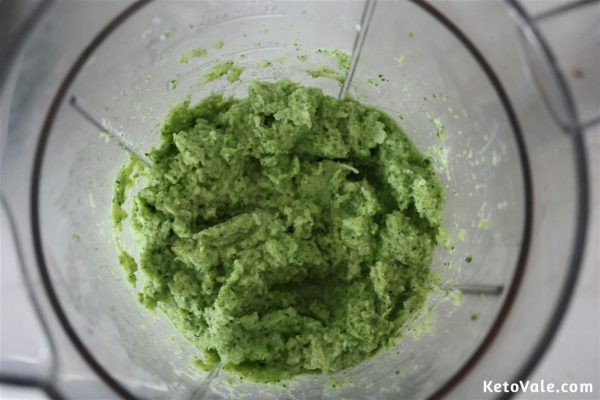 Blend thoroughly until a smooth, uniform mixture is obtained. Pour the mixture in a saucepan and add the chicken stock as well. Stir to mix. Simmer for 5 minutes, stirring occasionally to mix the cheese evenly and avoid sticking it to the base of the pan. Serve in a bowl with some shredded cheese on top. If you don’t have comte cheese, you can substitute it for another medium hard cheese, such as cheddar, edam or gouda. Alternatively, you can just skip it and add more parmesan. 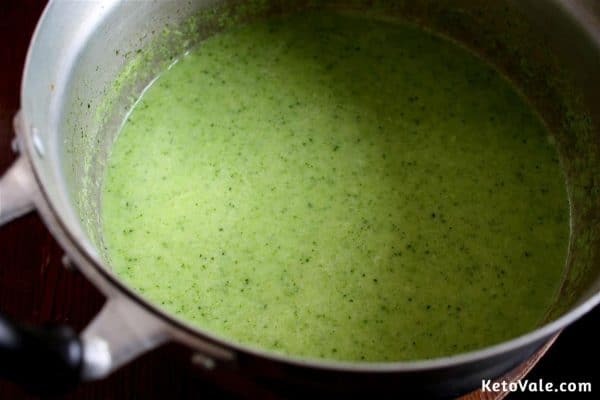 If you would like to increase the fat content, this is incredibly easy – you can add butter, ghee or coconut oil to the soup at step 4 (butter being our favourite for this soup). If the soup turns out thick, you can add water to it until you reach the desired texture.